This morning I was stalking around Havenhollow as a nazgul. Did you see me? 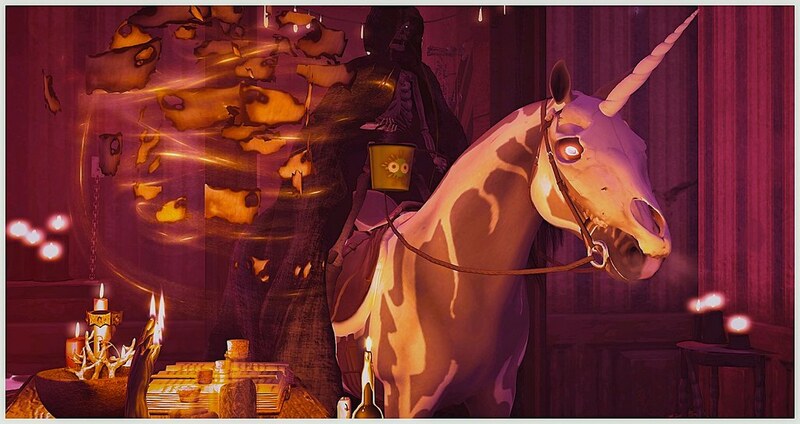 I dressed up my WH Riding horse with some spooky skins and decor, and tossed on a rider’s cloak from Jinx. For fun, I also wore RC Cluster’s new Trick or Treater bucket. I guess my nazgul’s searching for more than just a ring this time.